We started singletracks more than 15 years ago with one thing in mind: helping mountain bikers find the best mountain bike trails. Of course since then we've added gear reviews, forums, and the blog but our primary mission remains the same. In the early years we rode and documented every trail ourselves but today 90% of our 6,000+ trail listings are user-generated. So, how to find the best mountain bike trails on singletracks? Whether you're looking to ride your first mountain bike trail or planning an epic trip, here are the best ways to find prime dirt. 1. View the trailhead map. 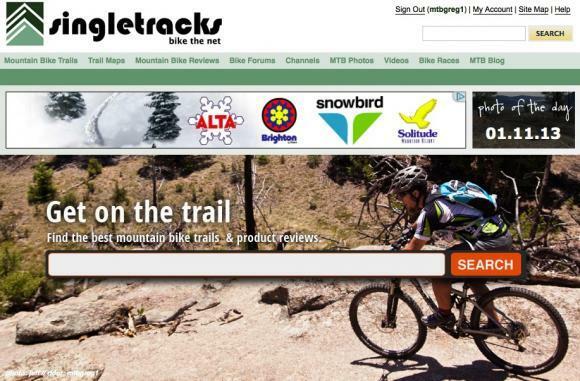 Our mountain bike trail tab features an interactive map showing mountain bike trailheads all around the world. To start, type your approximate location into the search bar. The blue pins represent precise trail locations; the white pins are approximate locations (remember what we said about user-generated content?). Click a pin to see a small photo and info about the trail. Click the link for even more info, including reviews, videos, and more. 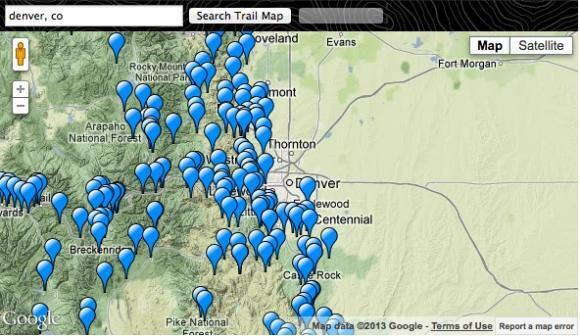 Due to the massive size of our trail database, we can only load so many pins on the map at one time. If you pan to a different area of the map and don't see any pins, try updating the central location in the search bar. 2. Search. If you know the name of the trail you're looking for, use the search box in the center of the home page or at the top right on any other page. Search results are powered by Google so you'll almost always find what you're looking for. 3. Search by zip code. If you know your US zip code (or the zip code of a place you're visiting), plug it into the zip code form on the right side of the trail page to find the nearest trails. On the results page you can adjust your search radius up to 100 miles. Best mountain bike trails in the world. Automatically ranked using our unique algorithm. IMBA Epic Trails. The International Mountain Bike Association recognizes some of the best trails in the world and we've linked to those trail listings for you. Recommended trails. Each trail listing page has a section for recommended trails based on past user reviews. So if you find a trail you enjoy, look to see what similar, local trails other members recommend.